I have been a Graphic Designer for over 22 yrs, and an artist since I can remember. Over the course of my profession, I have obtained experience in many facets of the design world. My early school years began in Illustration & Painting. Into High School and College I enjoyed Mechanical Drafting & CAD. Then slowly I progressed towards the field of Visual Communication where I obtained my AA. After getting my BA in Graphic Design/Print Media in 2005, I went on to be a Layout Editor for a large publisher where I worked in an agency setting with the strictest deadlines and critical details. After that endeavor I worked in a local offset print shop for a few years gaining hands on knowledge of pre-press production and printing processes. Then I took on a new position as the Art Director & Marketing Coordinator for one of the largest solar companies in the world. There I did just about everything from PowerPoint presentations, advertisements, in-house collaterals, direct mailings and marketing campaigns to vehicle wraps, technical sheets, web design, displays and signage, both in and out of the US. In 2008 a colleague and myself started a design company consisting of silk screening & garment decorating, broker printing, direct mailings, graphic design, and custom canvas printing. 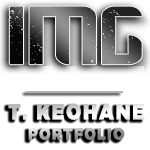 Later I decided to start my own freelance design company Insight Media Graphics, which you now know as IMG Artworks. In recent years I have been tackling many contract and temporary projects for clients to keep myself active in the industry. I still continue freelancing as I have for individuals, and large corporations alike throughout the years. I stay up to date with current practices of design and production by being an active member of the design community, attending trade events, seminars and watching tutorials, as well as working hands on from creative idea to final result.